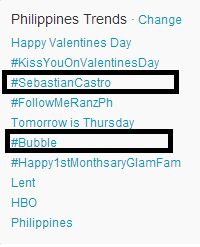 Sebastian Castro's "Bubble" music video has premiered at 12 AM today, Valentine's Day, February 14, 2013, and it easily landed among Twitter Philippines' top trending topics in less than 2 hours since its premiere. Then minutes later, #SebastianCastro himself also made it to the trending list. 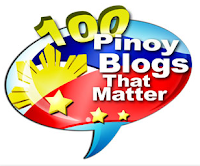 Not surprising though 'coz the "Bubble" video is really a worth-watching and share-worthy one. Can't share the video here, but you can freely watch it on Youtube, titled "Sebastian Castro - Bubble (Official)". The video is so fun, has great music, choreography and needless to say, an innocent-looking but naughty performer, Sebastian Castro. "I like your bubble!" - that's the line to remember! Sebastian Castro is 23 years old and not really a Filipino, but is already a proud "Pinoy" residing here in the Philippines. He's an American of Peruvian-Japanese-Spanish descent. He was among Cosmo 69 Bachelors in 2011. Sebastian Castro as one of Cosmopolitan Philippines' 69 Bachelors for 2011.